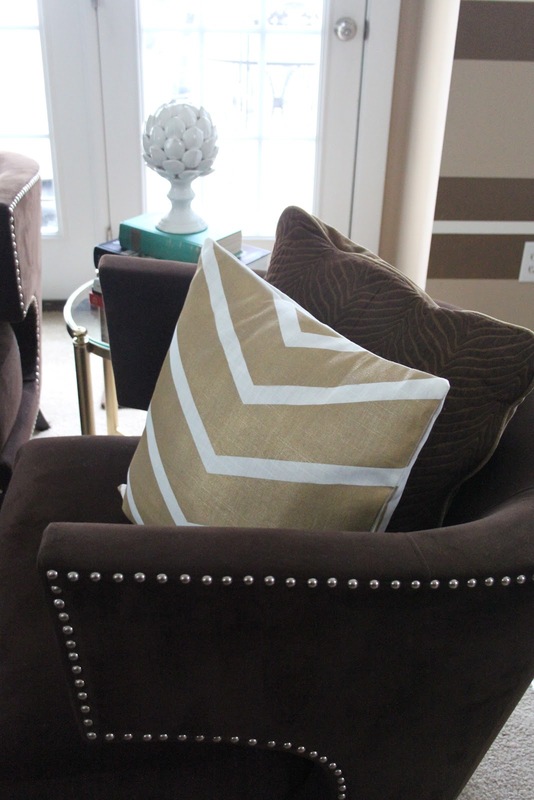 I've been wanting to change up the pillows in my living room for a while now to something a little more glamorous. Since I've been on a bit of a gold kick lately I wanted to go in that direction. 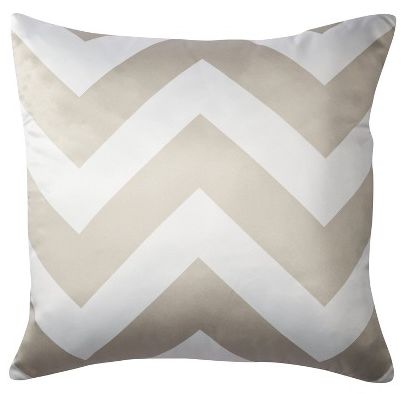 I was inspired by these pillows at Target a few months ago. I almost bought them but couldn't pull the trigger knowing I had plenty of fabric at home that I could make pillows from for free. 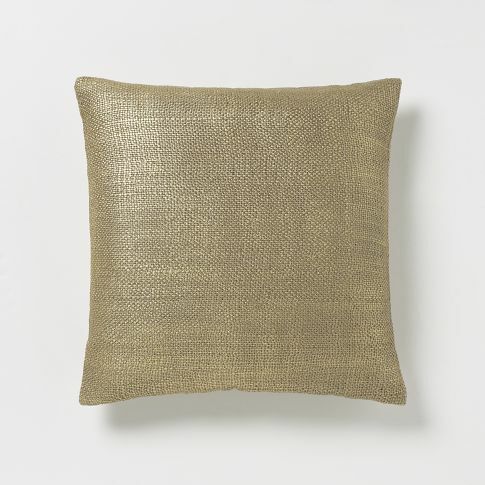 I've also always loved this pillow cover from West Elm. To me it's a great combination of glitz and texture. 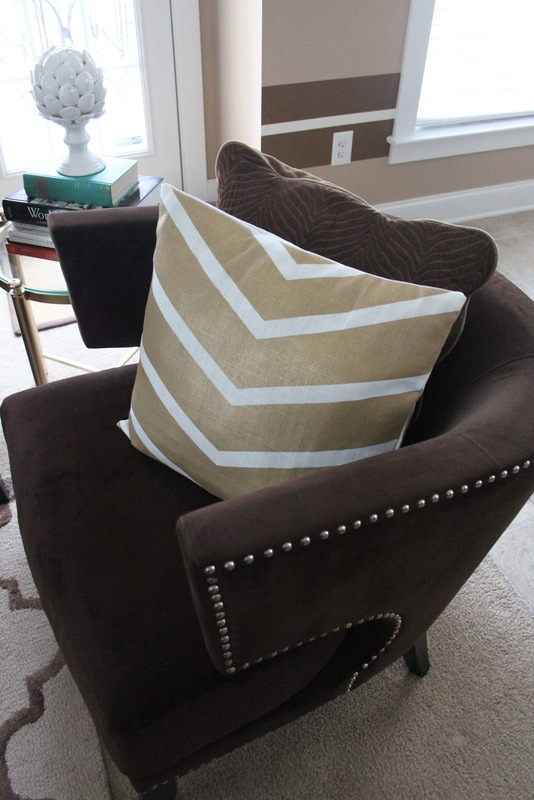 So this project is a combination of those two inspiration pillows. I started with some plain white fabric (it's actually part of an Ikea Ritva curtain panel that I had leftover from my daughter's nursery since they come in pairs and I only needed 3 panels) The texture of the fabric worked really nicely for this project. If you didn't want to make your own pillow you could use this $7 white cover from IKEA. I used it to make the elephant pillow in my daughter's nursery and have been really impressed with how well it's held up. So, here's the basic square pillow cover I started with. This next step isn't totally necessary, but I did it just in case the paint bled through. I just slipped a paper bag in the pillow cover. Now, it's time to glam it up. I wanted a fun pattern, something chevronish, but I don't have the patience to tape off all those zig zags and make sure they are all even so I just went with a simple pattern that still resembles chevron. I taped off my pattern with frog tape and made sure my pieces of tape were long enough to extend over the edge of the pillow and tape the whole thing to a piece of foam board. I didn't want it to move during the painting process. 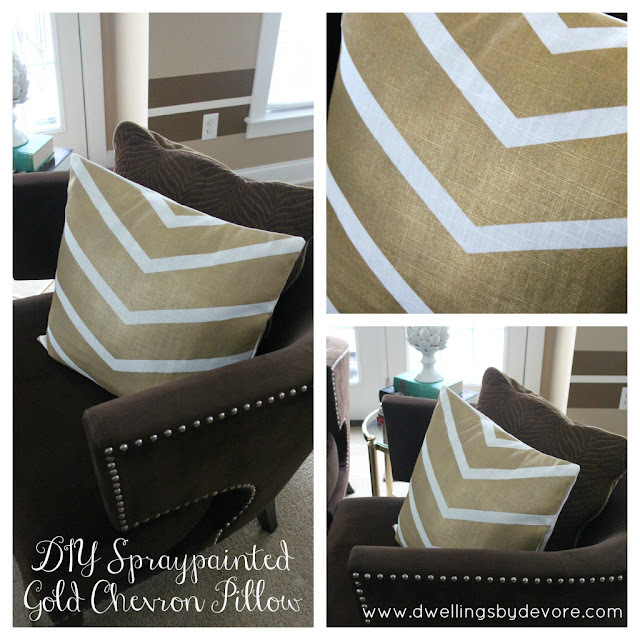 Then, I used my favorite gold metallic spraypaint from Rustoleum. This is my go to gold, in my opinion it has the best finish without looking cheapy. 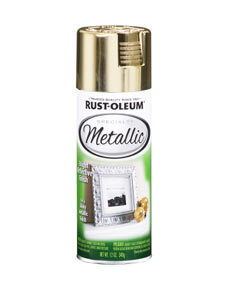 I also like this one, but the Rustoleum is a much larger can and therefore gives you more bang for your buck. This particular spray paint seems very light and dries incredibly fast which is part of why this works. I haven't tested this with other paints so I'm not sure if they would leave your fabric feeling crunchy or too heavy. So, spray the whole thing and then let it dry for a few minutes. You can see in this picture how it gives it a subtle sheen and really brings out the texture of the fabric. 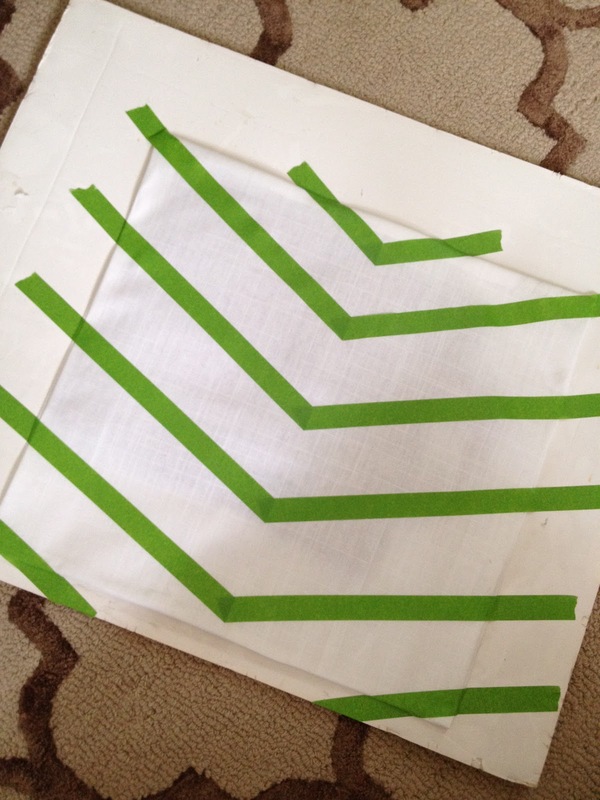 Then, the most rewarding part, pull off the tape to reveal the white stripes. As long as you make sure you press your tape down really well you shouldn't have any bleed through. 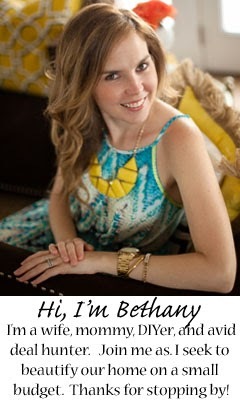 This project has opened up a whole world of opportunities for me. I'm thinking of painting this headboard I found on the side of the road using this same technique. I'll let you know how it goes if I try it. The best part of this project is that I already had all the supplies so it cost me nothing, makes me happy and the husband too. 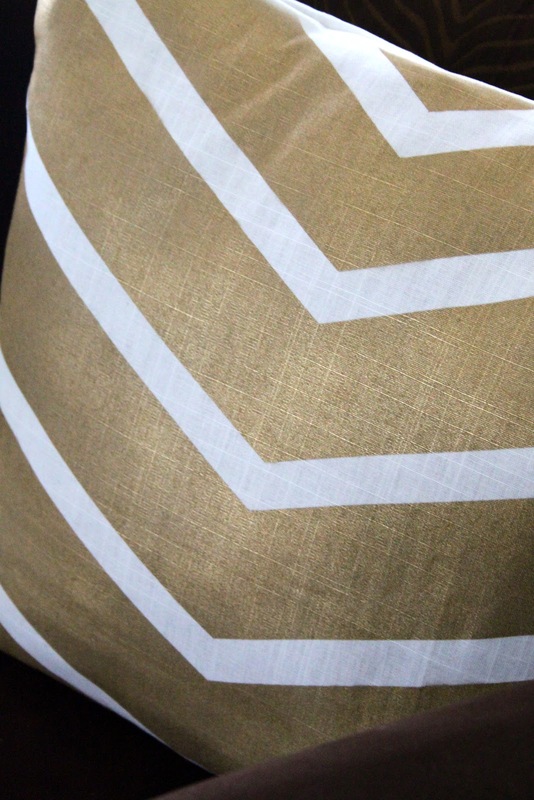 You just opened up a whole new world of options...gold spray paint on fabric! Fabulous! Love it!!! But I'm guessing that these are for pillows no one lays on? Have you had to spot clean them at all? Does the paint rub off? Love this idea. How creative!! !